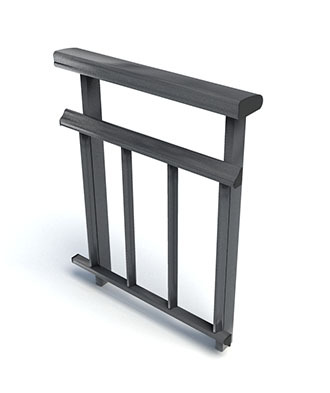 Aluminium system that favours the setting of railings and banisters in any type of housing. The variety of finishing together with the diversity of typology make them adaptable to any sort of decoration. With the use of glass can be achieved the refinement required by modern architecture.